Interesting. 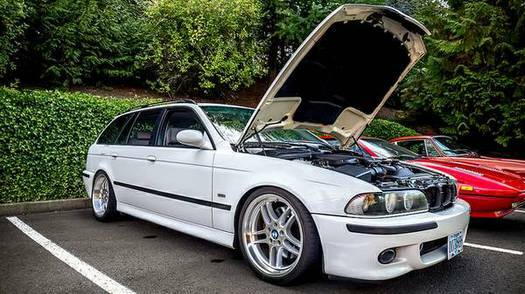 Here is a 2000 BMW E39 540i Touring, which has undergone an M5 conversion. It has the M 6-speed manual transmission, M brakes, hella dropped springs, cambered rear wheels, wait wait, I think we got off track here. Anyway, $18,000 or trade for an air-cooled 911. And it's already in Portland. Sounds like a perfect scenario for a new dad looking for a family hauler/tuning project.